Dayton, TN — The Workout Anytime 24-Hour Fitness Center that is located in Dayton next to Tractor Supply is now signing up members. The new sign is up and work continues on the new location. While the gym won’t open until October, pre-sales began on August 16th. Potential clients will be able to stop by the location and learn more about the company. Workout Anytime is a company that takes pride in offering low-cost, no hassle, cancel anytime monthly memberships. 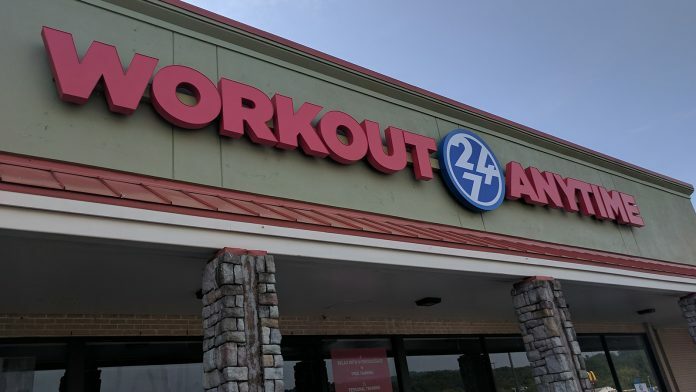 Atlanta-based Workout Anytime is a 24-hour, seven-day-a-week fitness concept with 140 units across the U.S. Founded by fitness veterans John Quattrocchi and Steve Strickland, the company was formed to provide members with first-class fitness facilities at the lowest cost possible. More information can be found on http://workoutanytime.com/.